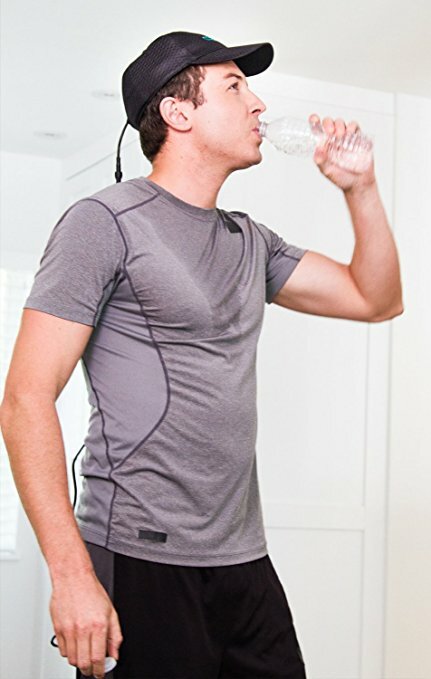 Is Laser Hair Growth System (Hat or Helmet) Painful? Do Laser Hair Growth Hat Cause Pain? Many people with hair loss situation who think to buy a home laser hair growth system wonder is it painful? Do the laser hair growth treatment systems hurt or cause any pain? Can it cause cancer? These are very clever questions to ask, before investing in a home hair growth system. In this article we will cover these questions and explain what to expect when doing such laser hat treatments at home. The home laser hair growth devices (combs, hats, helmets and caps) all use the same LLLT technology. The Low Level Laser Therapy is known and researched for almost 50 years. It is used in many fields of cosmetics, dentists, dermatologist and in medic clinics. It was found effective also for hair loss situations to regrowth hair, make it more dense and thick, and in some cases grow darker. The technology is quite simple, a laser beam is pulsed at the skin, the light energy penetrates to the lower skin layers where the root is, and turns to heat. 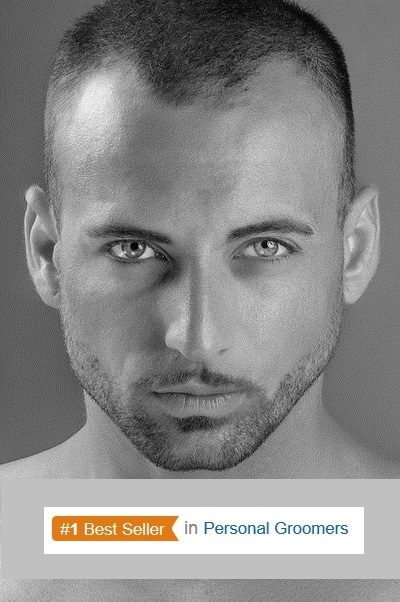 The heat stimulates the shrinking hair follicle cells to rejuvenate and regrow hairs again. You can imagine this process like watering a dry plant, the water stimulate the dry roots to reproduce the plant growth again. Laser hair growth hats and combs which are sold at Amazon and official online stores in the US have all FDA clearance. This means they have passed the basic requirements for safety and clinical trials to prove their purpose claims. The Laser which was found most effective for the hair growth needs is a 630-670 nano-meter beam, which is in the red light spectrum. Red light lasers can heat objects they are beamed at, it depends on the energy of the light. Laser hair growth hats use low energy 5mW (1 milliwatt = one thousandth of a watt). When wearing the hat for 25-30 minutes, the lasers turn on and produce constant red light in the hat. The light energy which penetrates the skin heats the skin tissue. This process is not painful at all and has no side effects. 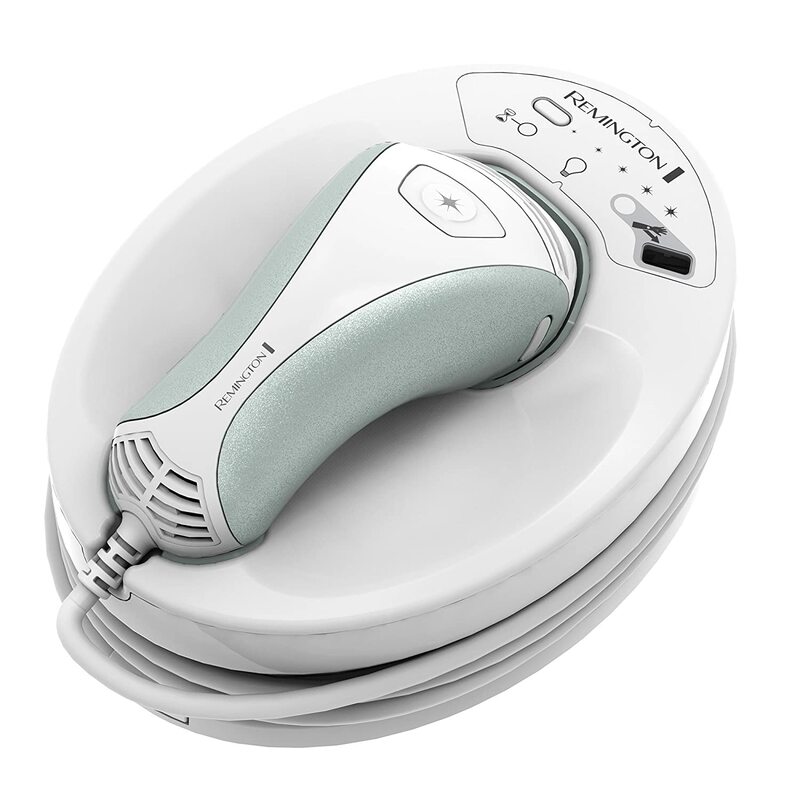 Laser hair removal devices use a different wavelength and much more energy and are designed to burn the hair in the follicle. These types of laser are painful and are often described as a ‘rubber band snap’ on the skin. The red light laser of the Low Level Laser Therapy isn’t even close to that. Some warmth may be felt inside the hat with the tiny diodes turned on, but nothing more than that. There are no side effects to the red laser light. You should not try and look into the laser beams directly. The laser hair growth hat and helmets have a safety sensor to make sure they operate only when placed over the head when all the laser beams are facing the skin. Though there is no risk and side effects to the red light laser, these devices are not approved for people with dark skin. This is due to the fact the laser creates heat when absorbed by darker matter, and there is a slight chance dark skin will heat instead of the hair follicle only. There are several laser solutions to restore hair growth. The combs are too weak and have very few laser diodes and the treatment is uncomfortable. Today the laser system hats and helmets are the most common in house solutions to restore hair growth. Click here to order the iRestore Laser Hair Growth System – FDA-Cleared Hair Loss Treatment from Amazon. 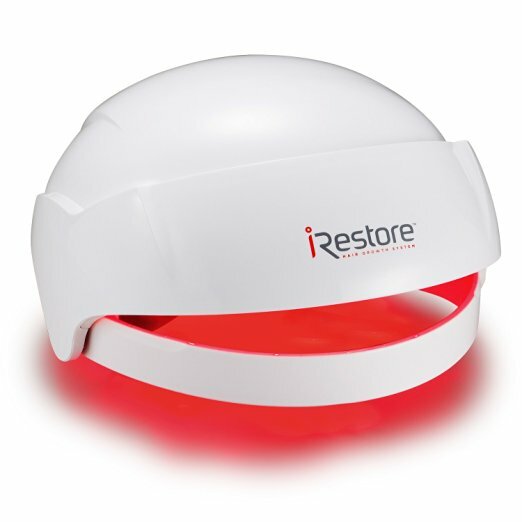 The iRestore Laser Hair Growth System is FDA-cleared, each helmet has 51 LED lights and laser diodes with 650 nanometer. For the right candidates it would be a safe and easy home treatments of 25 minutes 3-4 times a week, for 4-6 month. As mentioned above the iRestore Laser Hair Growth System treatment is absolutely non painful, and easy going as wearing a hat could be. You can order your laser hair regrowth system from Amazon, they come with 6 month satisfaction guarantee so you can follow the treatment plan for several months to see best results.